I am in Chengdu, China this week attending the 22nd Summit of the United Nations World Tourism Organization. Again, I am struck by the sheer size and scale of this country, a fact so often not understood by people in the West. Chengdu is a city of 15 million people, according to the latest census numbers. That makes it twice as big as London or New York City. Incredibly, Chengdu is only China's fourth largest city behind Chongqing, Beijing and Shanghai. Oh yes, I mustn't forget, Chengdu is also home to the giant pandas, which I was fortunate enough to see. Here in Chengdu, the chairman of the China National Tourism Administration outlined the government's plans to extend its Belt & Road Initiative deep into the field of tourism. More than 60 countries spanning Asia, Africa, Eurasia and Europe have signed up to the initiative that has the Chinese spending billions of dollars developing three land routes and one maritime routes along the old Silk Road. Now ask yourself: What initiative is the West putting forward for the future to cement its leadership? I don't see any grand plan from the EU for the rest of this century, in terms of cementing trade relations. As for the United States, the Trump administration withdraws from the Paris climate accord, abandons the Trans-Pacific Partnership and threatens ending NAFTA, all while cutting back development aid. It begs the question: What is Washington's big vision for the future, besides putting America first? The reality is the Belt & Road Initiative, also known as One Belt, One Road, tied in with Russian involvement, is possibly the most far-reaching and deep-thinking plan for the future. Love it or be terrified of it, while others bicker parochially the Chinese are way ahead in strategic thinking, decades ahead. Whether Belt & Road reaches its full potential really isn't my point. It's the very fact that there is leadership, which others can enjoin, that should give Western leaders pause for thought. 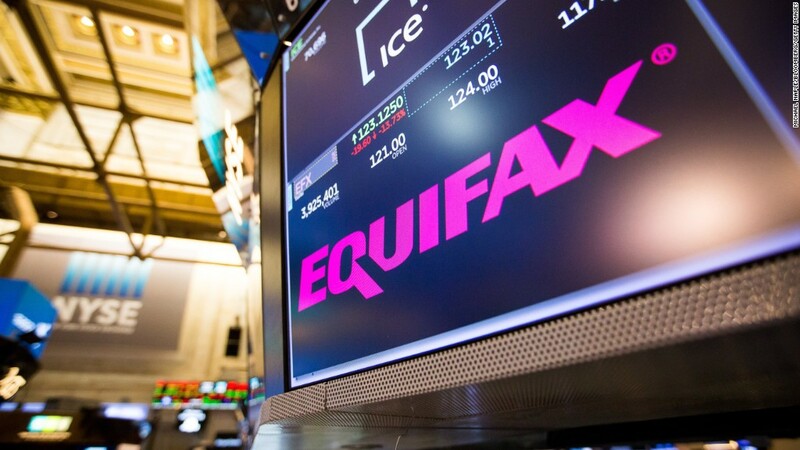 The U.S. government is investigating Equifax's (EFX) massive data breach, which may have compromised the personal information of as many as 143 million Americans. The Federal Trade Commission said Thursday that it's formally looking into the incident. There's plenty to dig into. 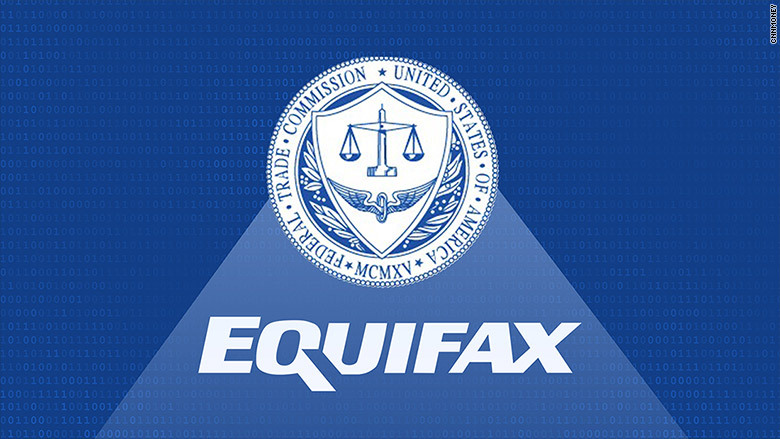 Three executives sold shares of the credit-reporting company shortly after the breach was discovered. Plus, the company has come under heavy criticism for its public response. Victims in Britain and Canada are still in the dark about how they're affected. Houses are seen on September 8, 2017 in Codrington, Antigua and Barbuda, devastated by Hurricane Irma. Miami may have been spared the worst by Hurricane Irma, but the Florida Keys and the Caribbean were far less fortunate. 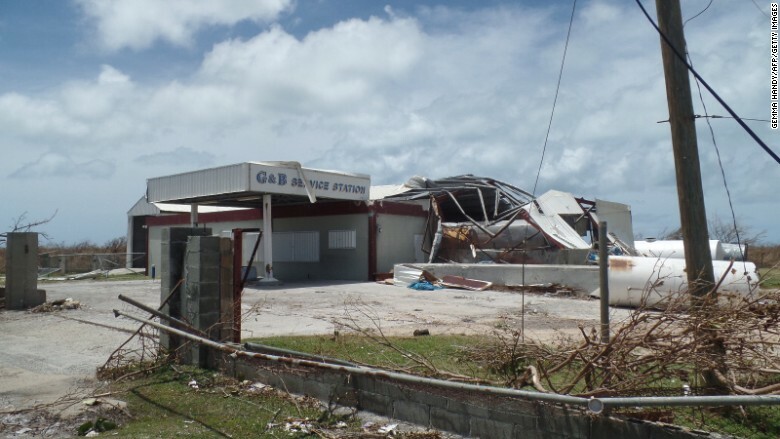 The Category 5 storm left enormous devastation in parts of Barbuda, Anguilla, the U.S. Virgin Islands and St. Martin. Now, these beautiful vacation spots are saddled with the incredibly-difficult task of how to rebuild an island paradise. Irma wiped out Florida's best orange growing season in a decade and sparked a severe gas shortage that is only now beginning to ease. All told, Hurricanes Irma and Harvey could together cost the U.S. as much as Hurricane Katrina did in 2005. 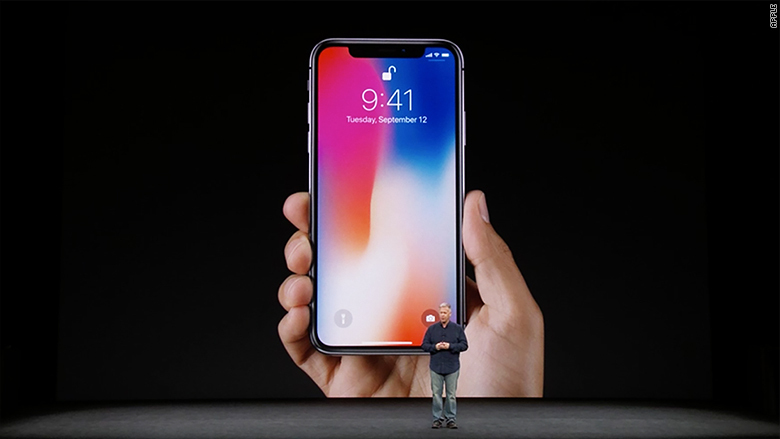 The iPhone X will cost $999 in the U.S. but even more in other markets. Analysts expect big sales though, especially since the X has new features like facial recognition. But if you're pinching pennies, the iPhone 8 and 8S will be cheaper. The wait is shorter too. They'll be in stores later this month. Apple (AAPL) CEO Tim Cook also unveiled a new Apple Watch, an Apple TV device that supports 4K content and, in a fitting tribute to Steve Jobs, Apple's futuristic campus. Jamie Dimon said if he caught anyone at his bank trading the cryptocurrency, he'd fire them "in a second." 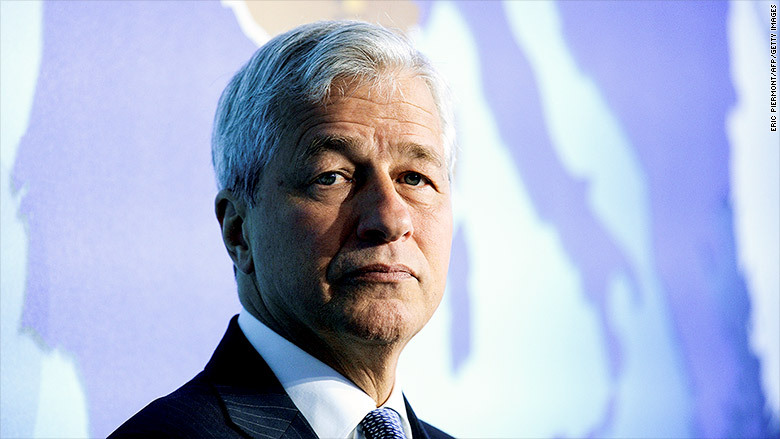 Dimon added that he thought bitcoin was "stupid" and "far too dangerous" for JPMorgan Chase (JPM) to support. He joked that his daughter has boasted about making money off of bitcoin's meteoric rise but added that he still thinks bitcoin is better off for drug dealers and Kim Jong Un. Hackers with ties to North Korea have reportedly tried to steal more bitcoin. Obama-Trump bull market is now the 2nd best ever. But is it also a bubble? Trump's first speech at United Nations: The UN General Assembly meets next week in New York. It will be Trump's first UNGA appearance since becoming president. Are you staying or leaving? Fed Chair Janet Yellen holds a press conference Wednesday at 2 p.m. ET after the Fed's meeting. No rate hike is expected but the big question is whether Trump will renominate her for a second term -- or if she even wants to stay. Her term expires in February but a decision is expected in the fall. CNN's Christiane Amanpour interviews Mike Bloomberg, Jack Ma: French President Emmanuel Macron, Canadian Prime Minister Justin Trudeau, Bill Clinton, Bill Gates and IMF chief Christine Lagarde will also be at Bloomberg's Global Business Forum on Wednesday. LatAm leaders convene in NYC: Presidents of Colombia, Peru and Chile, along with Mexico's economy secretary, speak on a panel on Wednesday at 7 p.m. ET to discuss their trade group known as the Pacific Alliance. Guajardo is currently renegotiating NAFTA on Mexico's behalf with the Trump administration and Canadian officials.